How did i come to this stupid idea, you are probably wondering? Well, I will be honest and say that I didn’t think this through. I just came up with this idea one morning and decided to go with the flow.. I love candies, but I wanted to eat healthier so I decided that it is the time to do something with my life, starting with my food habits. So, from this day until this same day later in the future when I probably quit, I will not eat any candies, cakes, cookies or anything that might go in the ‘sweet’ category.. I will try to be strong, but I think that documenting every day on this blog will help me to not give up on this crazy (yes, you can say it’s crazy) idea. If you’re not satisfied with your weight or eating habits, join me in this crazy challenge, and lets show the world that we can have 365 days without sweets! Or even one day without sweets for some of us would be huge. Lucky for all of us – there are plenty of healthy and tasty desserts that contain no sugar at all.. So, if you can’t live without any type of sweets, go for some healthy version. We forgive you. But don’t make it a habit. It’s ok to try something from time to time, but you don’t really need to bake dessert every single day. Don’t you agree? My husband came home from his handball practice and he bought two ice creams, and to make things worst: he bought my favorite brand of ice cream.. I have to admit that I am proud of myself to try something this difficult and I think that I can do anything if I do this! Keep your fingers crossed for me! I really want to be skinny next summer. It seems that my husband decided to test me every single day! This time he decided to make a perfect cheesecake. I really love cheese, in everything, so this was a big test for me. His perfect cheesecake looked so yummi, but i was brave, again, and i didn’t even try it..
You mix all that, put into a mold and bake at 200 °C for 5 minutes! Reduce temperature to 170 °C, and then put a yellow cream on that. Blend that together, put yellow cream on a biscuits and then bake at 170 °C for 20 minutes. While you bake that, mix two sour creams, three tablespoons of sugar and one vanilla sugar and pour over hot cake. Put the cake in a warm oven (but first you turn it off) for another 5 minutes. 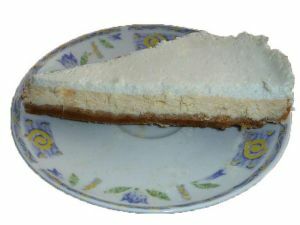 So, if any of you have any suggestions how to improve this perfect cheesecake recipe, I would be glad to hear it! 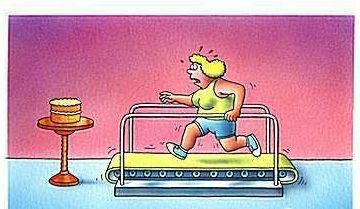 My challenge and a long 365 days without sweets would be useless if I don’t start exercising at least few times a week. I decided that same thing bunch of times. So, I bought myself Wii Fit Plus for Nintendo so I can start exercising and have fun, exercise bike so I can watch tv and exercise, and I even downloaded bunch of exercising routines and programs. I used that for couple of days and then completely forgot that I even have that stuff. So, this time things will be different! I will use my Nintendo Wii. I will use my exercise bike. I will use all that downloaded exercising routines and programs. 5 done, 360 to go. I want to clear something. I am not doing this because I want to go on a diet. I am doing this because I want to show to myself that I can do anything I want, and plus, I want to start eating healthier, and I think that this challenge is a right way to start. I am not satisfied with some aspects of my life and I can’t wait forever for someone else to solve all of my problems. I have to do that myself! Do you have anything you want to change about yourself? Maybe some kind of New Years resolution? 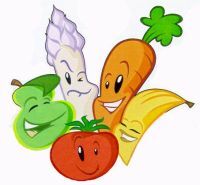 Join me and we will start eating healthier together. A year without eating candies or cakes or anything sweet?! A whole year?! 365 days?! Are you serious?! I can't even go a day without eating something with chocolate, how could I even think about doing it during a year?! That's a big challenge !! And I'm impressed already cause I'm sure you're going to do it !! oh no! I can not imagine doing something like this, I can go some time without sweet stuff but occasionally when out for a meal or celebration its nice to have that something sweet. Hello! I am skinny, first statement.. hm.. not to upset who are not skinny like I am, but I would like to eat healthier and I am in the process to become vegetarian, being skinny I really need to see things form many perspectives. I love chocolates, and I've realized that since Christmas I am eating a lot, every days… and about one week ago I decided I should stop! The fact of skinny doesn't matter, skinny people also needs to be careful. Sometimes I look at the chocolates and almost can't resist, some days I eat just a little one, others I don't eat any, I eat other better things when I am needing a chocolate… I guess chocolate can be really addictive! I don't think you need to be 365 days without sweets, well, at least you have stuff that gives you the flavor to sweets but don't have that much calories, maybe you should switch to those and you will not feel so bad about leaving sweets. Za mene bi to bila nemoguca misija! Čestitam ti prvo na hrabrosti da se upustiš u ovaj izazov! Ja sam recimo premršava i trudim se jesti što više slatkog, što također nije zdravo 🙂 Treba pronaći neku ravnotežu. Ja se nadam da ćeš uspjeti, pratit ću tvoj blog. I vjerujem da znaš kako se mnogo domaćih slatkiša i kolača može raditi bez šećera, npr s medom ili suhim voćem 🙂 Ili stevijom koja je prirodni zaslađivač. Samo što se meni 365 dana čini jaaaako puno, nadam se da ćeš uspjeti u naumu i da ćeš očuvati zdravlje! O Marina za ime Božje.. Ja nema šanse da bi izdržala..
Nadam se da je ovo više kao neki tvoj projekt da li se možeš držati obećanja, a ne da je vezano uz mršavljenje..
Želim ti puno sreće i pratim..
Super! Pratim kako ti ide! Sretno! 😉 Mali savjet: probaj jesti sto vise nerafiniranih namjernica, znas da sadrze prirodan secer, pa ces lakse podnjeti cijelu pricu. Prvo sam pomislila kako je dobro ime bloga. Onda sam shvatila da je to plan, pa sam morala da dodjem na prvi post i uverim se. Ja bi trebalo da prestanem sa pusenjem, mozda mi nesto ovako pomogne : Drzim ti fige!